192.168.1.1 192.168.1.1 – All about 192.168.1.1. 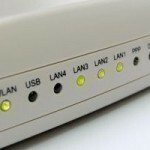 How to configure your router and set up private network. All about 192.168.1.1. How to configure your router and set up private network. 192.168.1.1 is a private IP address, commonly used by Linksys routers. Other router brands also use it as the default IP address. Besides routers, other devices can use this IP address, but that is not very common. Routers are devices that allow data exchange between networks. These devices connect networks together. The purpose of a router is to direct and transfer data. 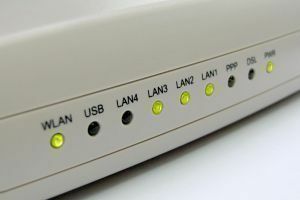 Home routers are used for data transfers between PCs and DSL modems. An IP (Internet Protocol) address is a series of numbers, divided into segments that are separated by dots. Each device in the network is assigned an IP address. An IP address is used in local addressing and network interface identification. Private IP addresses are used for small office or home networks, in cases where globally routable addresses aren’t available (or aren’t mandatory). Private internet protocol addresses are commonly used in residential networks. Most Internet providers assign only one routable IP address to one customer. 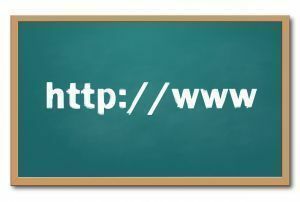 If you have two or more PCs or other devices connected to the Internet, you can use NAT (Network Address Translator) gateway to get Internet connectivity for several hosts. Corporate networks use private IP addresses to enhance network security. Such networks are not directly connected to the Internet, which is a good thing, when it comes to security. Private IP addresses also allow access limitations and restrictions for users within the network. A NAT device serves as a main access point to the Internet and has its own IP address. The computers in your network are considered subdirectories of that IP address. When you access the Internet from one of the computers in your network, the computer sends the information to the NAT device, which then relays the information to the Internet. This will prevent any confusion about which computer sent the information or where the information should be sent. If you only have one computer connected to the Internet, you will not need a NAT device. 192.168.1.1 is the default IP address for some router brands (like Linksys). Routers use it to allow users to access the control panel. To get to your router’s control panel and configure it the way you want, all you have to do is open an Internet browser and type in 192.168.1.1 in the address bar. No one outside of your network can access your unique control panel. Once you type in 192.168.1.1 in your browser’s address bar, you will be taken to your router’s control panel. The first thing you’ll see is a list of options (the left side of the page) and a Firmware Upgrade Assistant in the center. It will ask you if you want to automatically detect new versions of firmware on the Internet. Click Yes. After that, click on the Setup Wizard at the top of the page. The Wizard will help you set up your router’s configuration for the Internet and it will automatically detect the computers connected to the router. • Your router uses some other IP address (and not 192.168.1.1). You should check the documentation of the manufacturer (or visit the manufacturer’s website) to see which IP address is used as the default for your router.